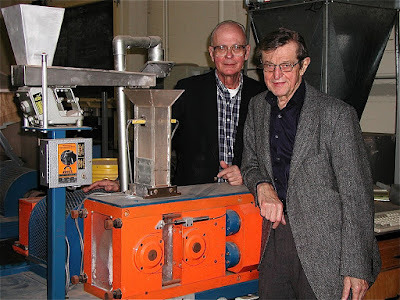 Prof. Doug Fuerstenau is one of the giants of mineral processing, a living legend. 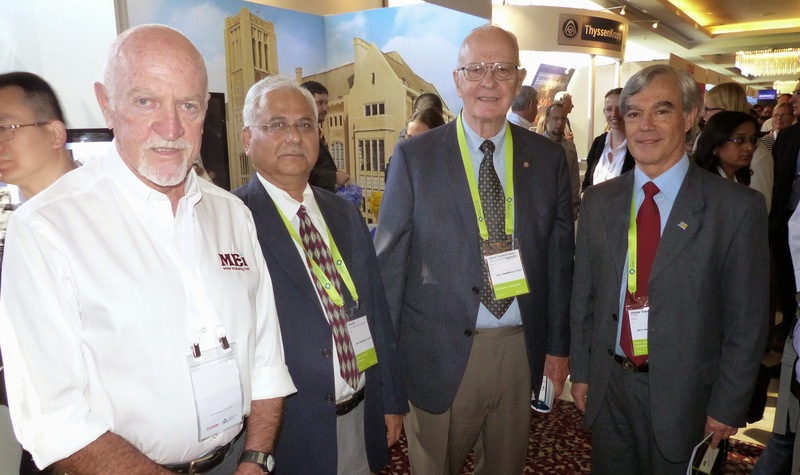 For six decades he has been a familiar figure at AIME/SME Meetings and International Mineral Processing Congresses (IMPCs), and presented a keynote lecture at the last IMPC in Santiago. In fact he has been an active participant in all of the International Mineral Processing Congresses, starting with the 6th Congress in Cannes in 1963 through to last year’s event. From 1978 to 1998, he served as the American Member of the Steering Committee and the Scientific Committee of the IMPCs and he was the first recipient of the IMPC Lifetime Achievement Award in 1995 in San Francisco at the 19th IMPC. 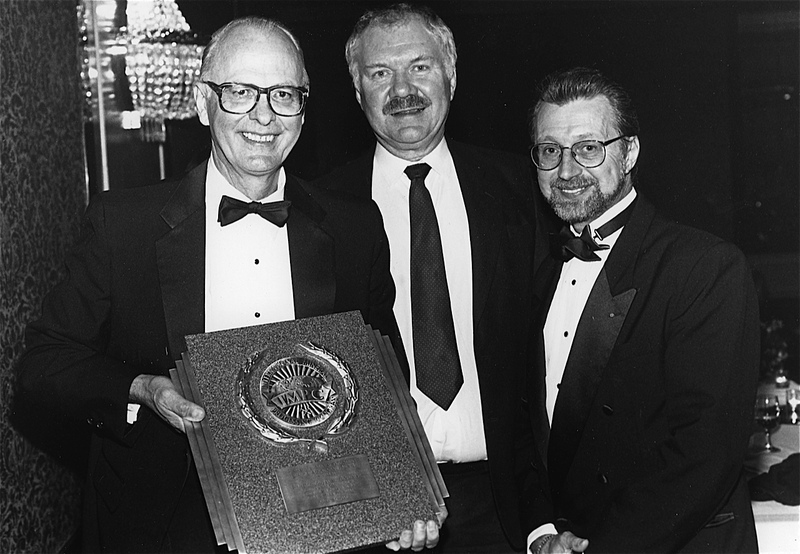 The Lifetime Achievement Award was just one of very many awards that he has received during his illustrious career, but he considers the proudest moment was when he was elected to the National Academy of Engineering in 1976, considered the highest honour for an engineer in the United States. After graduating in 1949, Doug continued his education at Montana School of Mines in Butte, MT, where he received an MS degree in 1950, studying under Prof. Donald W. McGlashan. He considers this to be the beginning of his conducting systematic research on flotation fundamentals. 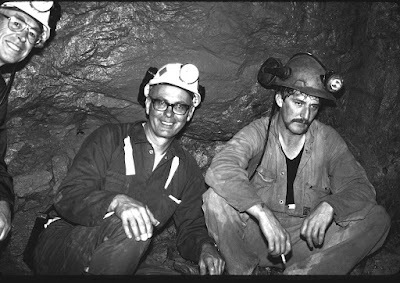 Butte was an exciting place to be at that time because all of the Anaconda mines were then in full operation, mostly underground copper mines but also lead, zinc and manganese mines. 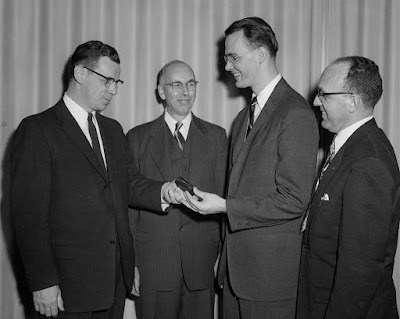 ﻿In September 1950 he enrolled as a graduate student at the Massachusetts Institute of Technology (MIT) in the Mineral Engineering Program within the Department of Metallurgy, working directly under Prof. Antoine M. Gaudin. His doctoral thesis research involved using electrokinetic methods to delineate adsorption phenomena in the flotation of quartz. During Doug’s final year as a graduate student, Prof. Gaudin had invited Prof. J. Th. G. Overbeek (of DLVO fame) from Holland to spend a year in the mineral engineering group. He credits Overbeek with instilling in him a solid, quantitative background in interfacial science. 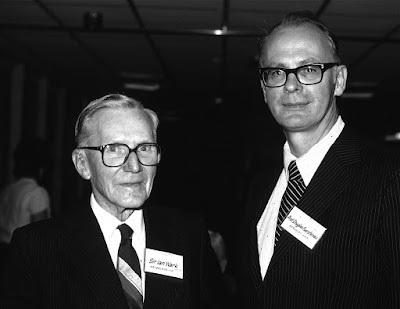 From the lectures of Prof. Overbeek and also those of Prof. R. Schuhmann (well known to mineral processors for the Gaudin-Schuhmann size distribution), he concluded that prepared and well-organized lectures would be his own method of classroom teaching. 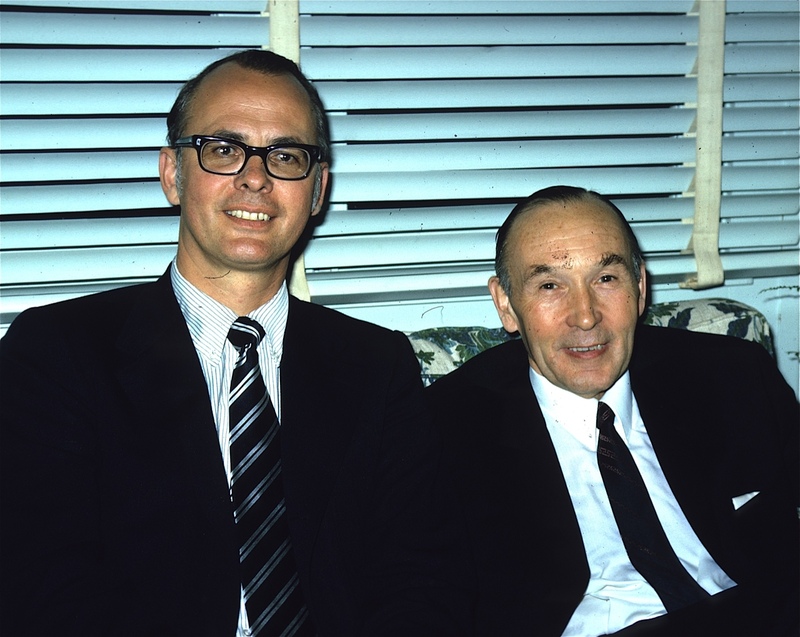 The photo below, taken at the time of Professor Overbeek's departure, is particularly memorable to Doug. 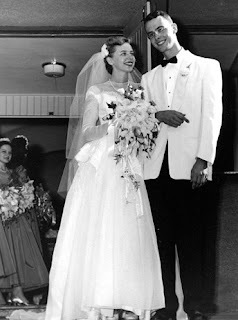 It was taken at the end of summer in August 1953, the year in which he received his doctor's degree (ScD), became an Assistant Professor at MIT, and married Peggy. Overbeek included this photo in a compilation many years ago about his work and his life. 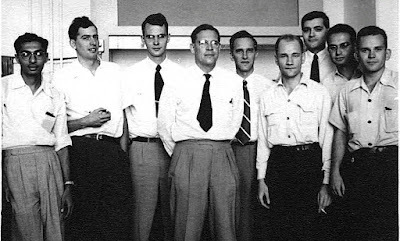 From the left are Harsukh Modi (Doug's first graduate student), Richard J. Charles (grad student who later formulated the Charles Law of Comminution), new Assistant Professor Doug Fuerstenau, Professor Overbeek, Assistant Professor Philipp L. deBruyn, postdoctoral researchers Dirk Stigter and Horacio Bergna, and graduate students Jean Tournesac and Ken Larson. On August 29, 1953, in Haworth, New Jersey, Doug married Margaret Ann (Peggy) Pellett, who was between her junior and senior undergraduate years at Radcliffe College (Harvard University). For the next year she was both a student at Radcliffe and a faculty wife at MIT. Through the subsequent decades Peggy was hostess to hundreds of global visitors, professional colleagues, postdoctorals and graduate students at dinners and receptions in their home. Their three children have often stated that meeting and talking with the many foreign visitors in their home was a significant part of their growing-up years. She has accompanied Doug to many of the SME/AIME Annual Meetings and International Mineral Processing Congresses. When the IMPC was held in San Francisco in 1995, Peggy served a member of the Organizing Committee of the Congress and also chair of the Accompanying Members Committee. Their marriage over the past 62 years has been the centrepiece of their lives. On his appointment as an Assistant Professor of Mineral Engineering, Doug began his extensive teaching and research activities in the extraction of minerals and metals from ores. 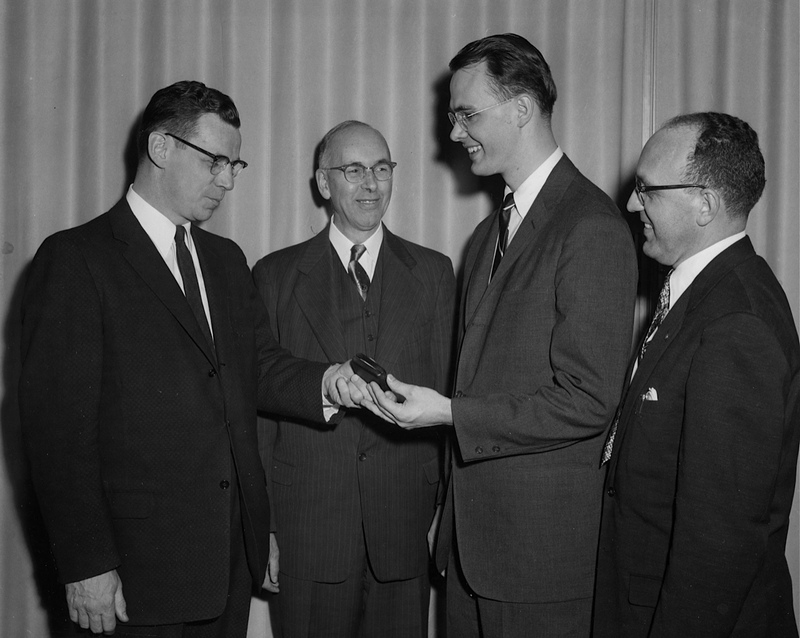 After deciding to further his practical background, in 1956 he accepted a position as Section Leader in the Metals Research Laboratories of Union Carbide Corp. in Niagara Falls, NY, where he worked primarily on problems involving the processing of raw materials for the ferroalloy and battery industries. In 1958 he moved to Kaiser Aluminum and Chemical Corp. at Permanente, CA, as Manager of Mineral Engineering, where he directed the program for assessing potential bauxite deposits as a source of alumina. Before joining Kaiser, he had told them of his interest in returning to academia, and in 1959 Doug became a member of the faculty in the Department of Mineral Technology at the University of California at Berkeley, to which he has been associated ever since. At Berkeley he taught some undergraduate courses but most of his activities were at the graduate level, including not only classroom teaching but also supervising the research of graduate students at the master’s and doctoral degree level. Wanting his graduate students to have a full bag of intellectual tools, he directed his graduate students to taking courses that expanded their background either towards the broad aspects of interfacial science or to process engineering, depending on their aims and interests. 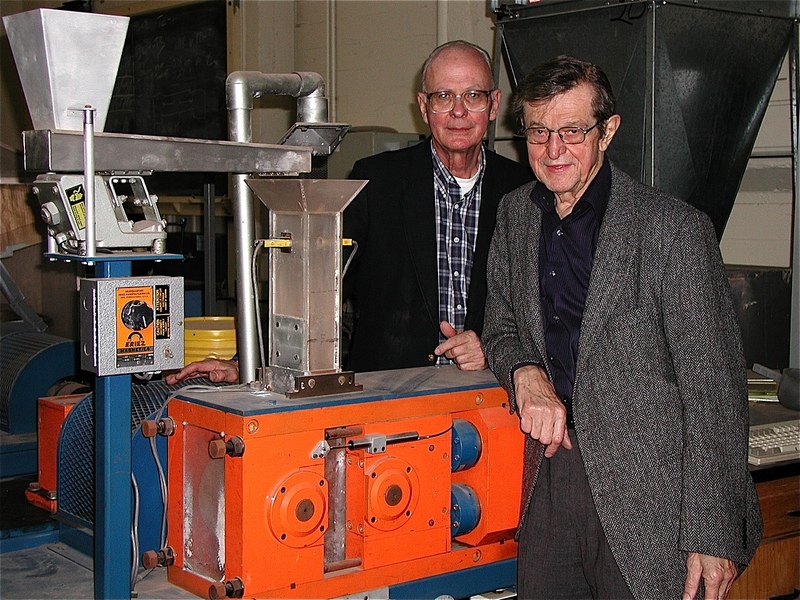 In those years, Doug knew personally most of the world’s leading researchers in surface and colloid chemistry, particle technology, and extractive metallurgy as well as mineral processing; and his former students have often stated how valuable it was for them to meet and hear seminars from the steady stream of visitors to Berkeley. To date, 65 students completed their MS theses under his supervision and 60 their PhD theses, and of those 24 entered academic careers either for all or part of their professional life. Beyond his teaching duties, from 1970 to 1978, he served as the chair of the Department of Materials Science and Engineering (the department was renamed through the years). In recognition of his teaching, Prof. Fuerstenau received the Distinguished Teaching Award from UC Berkeley and the Mineral Industry Education Award from AIME. Through his research, he has made numerous seminal contributions to mineral processing and the allied areas of particulate technology, surface chemistry, mineral processing unit operations, and mathematical modeling of processes. His early personal contributions included development of the hemimicelle concept of self-assembly of adsorbed surfactant ions at the mineral/water interface and also the electrostatic model of flotation that applies to systems where separations are controlled by surface charge in the electrical double layer. 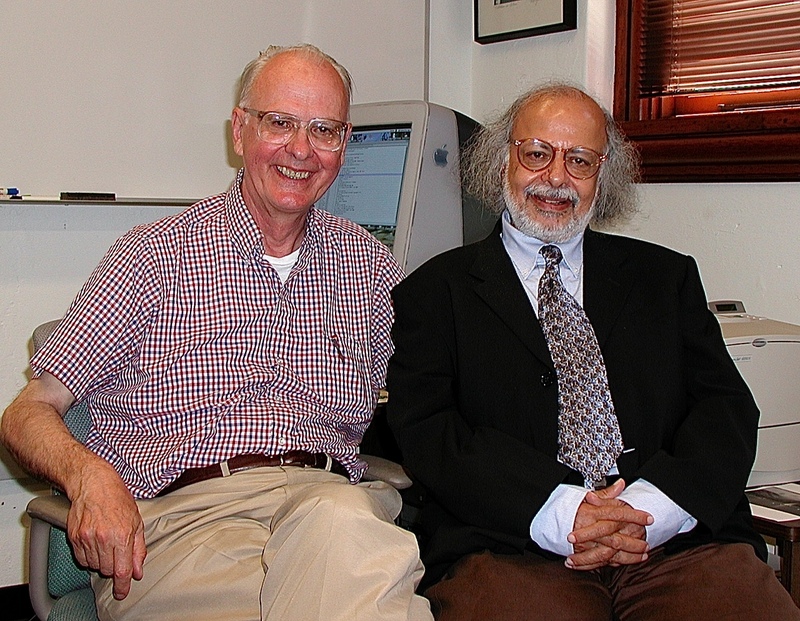 At MIT, he modified the Hallimond tube so that it could be used to obtain reproducible results and started its widespread use as a tool to help delineate the physical chemistry of flotation. Reflecting back on his feeling that Prof. Gaudin jumped from one research topic to another, Doug’s planned approach to research when he arrived at Berkeley was to delve deeply into a given area with several consecutive graduate students continuing investigation of that topic. In the 1950s, Gaudin had a very large single research contract from the AEC (Atomic Energy Commission) that provided blanket support for the entire mineral engineering program at MIT, so he could suggest that a new student work on any topic of interest to him at the time. On the other hand, Doug received research support at Berkeley from a range of sources, including many grants from industry but mainly from such federal sources as the National Science Foundation, Department of Energy, the National Institute of Health, the Bureau of Mines, etc. His research interests expanded in two directions: control of the behavior of mineral particles through interfacial chemistry and the engineering processing of solid particles, both generally oriented towards problems in mineral processing. With graduate students, notable contributions were made to surface and colloid chemistry, flotation fundamentals, the flotation chemistry of a wide range of minerals and coal, selective flocculation, hydrometallurgical recovery of metals from deep sea manganese nodules and carbon recovery of gold, comminution fundamentals, modeling of ball mills and high-pressure grinding rolls, pelletizing and agglomeration fundamentals, particle technology including mixing and transport of solid particles. He has published some 450 papers, mostly coauthored with graduate students. His research has not only laid out the scientific principles of many unit operations but also has pointed the way towards improving process efficiency, reducing energy consumption, and enhancing environmental remediation. His accomplishments have led to his receiving many awards from AIME/SME (the Hardy Gold Medal, the Raymond Award, the Richards Award, the Gaudin Award, the Frank Aplan Award, the Taggart Award, SME Distinguished Membership, and AIME Honorary Membership). Recently, he received the Particle Technology Lifetime Achievement Award from AIChE. Prof. Fuerstenau has been actively involved with professional society matters, largely AIME/SME committees and programs. However, over the years he also was an active participant in Engineering Foundation Research Conferences, European Comminution Symposiums, various particle technology conferences, and domestic and international surface chemistry conferences and workshops. He has served on panels and advisory committees of the National Research Council, National Science Foundation, Dept. of Energy, Dept. of Education, and also on advisory and visiting committees to numerous universities. He has also been on the editorial boards and committees of a wide range of journals, for 25 years being Editor-in-Chief of International Journal of Mineral Processing. 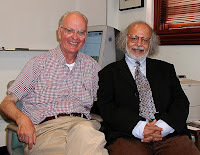 He edited the classic AIME book, Froth Flotation – 50th Anniversary Volume. He served as a member of the Board of Directors of Homestake Mining Company for 22 years, until his retirement in 1999 and in recognition of his many major contributions to education and research, the South Dakota School of Mines and Technology established the Douglas W. Fuerstenau Professorship in metallurgical and materials engineering there. In 2011, the Bancroft Library of the University of California published his oral history, entitled, Mineral Processing Engineer and Scientist: In Education, Research, Industry and International Cooperation. It is evident from the above that Doug Fuerstenau is no ivory tower academic. His illustrious career has been a unique blend of industry and academia, and during this long career he has achieved much and met many interesting people, some of whom we could also describe as mineral processing legends. I know that he was inspired by Prof. Antoine Gaudin, who was first his teacher and then a colleague. I asked him what kind of a man was Prof. Gaudin, and why is he considered one of the greats of mineral processing, and what did he think Gaudin’s greatest legacy is. Doug said that he considers three persons, all giants in their fields, to have been his primary mentors. 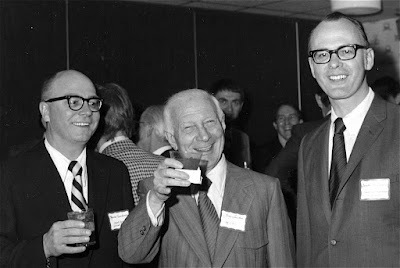 The first was Professor Gaudin who solidified his interest in mineral processing fundamentals and after whom he broadly patterned his academic career. Doug observed that as a professor in a research university, Gaudin could work on scientific problems with students while at the same time be involved with industry. He credits Professor Overbeek from Utrecht with providing him with a rigorous background in surface and colloid chemistry and showing how to apply basic physical chemistry to solving applied problems. He credits Professor Hans Rumpf from Karlsruhe to cementing his interest in particle science and technology and applying that to mineral processing. What kind of a person was Gaudin? When Doug entered MIT, Gaudin was considered the world leader in mineral processing (or mineral engineering as Gaudin termed the field) and he was held in great respect not only by his students but by professionals internationally. Doug defines Gaudin as being a very understanding person who had real interest in the welfare of students and in the careers of former students. He knew how to handle people and could adroitly smooth out ticklish situations. 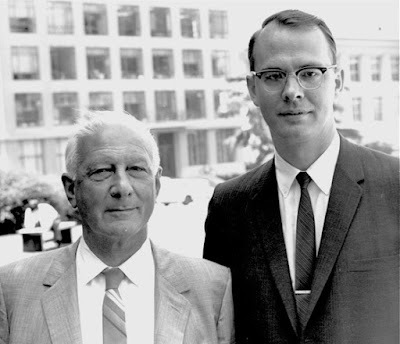 Gaudin had very good vision, a penetrating mind, and an insatiable appetite for learning, as exemplified by his bringing Overbeek to MIT for a year to enhance the mineral engineering program’s background in applied surface and colloid chemistry. He was creative and had a steady stream of new ideas that led to the proliferation of research topics. He could express his ideas and concepts both with spoken and written words with clarity and force, his spoken words having a hint of a French accent. He could exhibit a bit of sly humour, with a bit of a smile. One always knew if he had walked into a laboratory because of the residual cigar aroma. Gaudin did have a short temper that would show once in a while and he could have some volatile comments. He did not suffer fools gladly. During Doug’s years as a student at MIT, Gaudin taught three courses for graduate students; they were not prepared lecture courses but were merely discussions of chapters that he had finished in preparing the second edition of his flotation book. Perhaps consulting occupied much more of his time than it should have. With students he always maintained a certain amount of French formality. As Doug’s association with him progressed over the many years, memos and letters from Gaudin progressed through the sequence: A.M. Gaudin, Antoine Gaudin, Tony Gaudin, and finally to Tony. Doug considers Gaudin’s legacy to be catalyzing the role of engineering science in mineral processing research and development. An example is his introduction of careful well-characterized experimentation to uncover the scientific nature of the flotation process and to his formulating many of the interfacial principles that control flotation separations. The same can be said for his 1926 seminal comminution paper. During his decade at Montana School of Mines he showed how detailed characterization of particles in industrial flotation operations could be used to improve process performance, initiated investigations of flotation collector adsorption, and wrote two ground-breaking influential textbooks, Flotation in 1932 and Principles of Mineral Dressing in 1939. 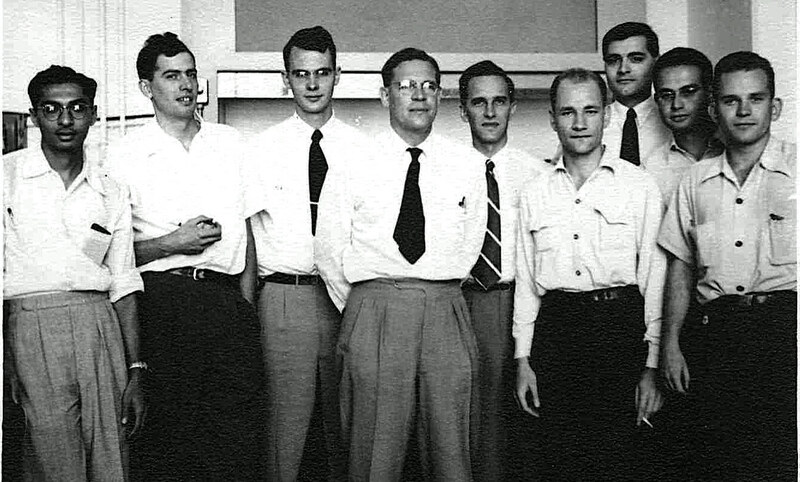 After moving to MIT, he had access to using radioactive tracers and was then able to make advances through direct measurements of reagent adsorption in numerous flotation systems. Over those decades, Professor Gaudin certainly had the largest number of advanced students in mineral processing, and particularly in flotation in the English-speaking world. Those graduate students and their progeny students are also a part of his legacy that will last, passing on the philosophy of research. Interestingly, Gaudin himself considered his greatest achievement to have been the development of ion exchange processes for the recovery of uranium from very low-grade ores. Doug considers Gaudin’s role to have been far broader. Doug’s career in mineral processing has spanned over 65 years during which time he has seen many, and participated in some, advances in the field. In 1950, grinding mills and flotation cells were small, and the larger the concentrator, the larger the number of ball mills and flotation cells. Once the principles of scale-up were elucidated and structural design factors addressed, there has been an ever increasing size of flotation machines and grinding mills. In the area of comminution, autogenous grinding mills and SAG mills were introduced and cyclones replaced classifiers. The major recent comminution innovation was Schoenert’s invention of energy-saving high-pressure grinding rolls (HPGR), first widely installed in cement plants but now are taking hold in the hard rock mining industry. High-gradient magnetic separators were invented. As for innovations in flotation machines, the flotation column gained acceptance in cleaner circuits and in coal flotation. Doug commented that there have been a number of process innovations during the last few years, such as transforming taconite from a rock into an ore through a lengthy investigation of grinding, mineral separating, and pelletizing. The last decades have witnessed expanded applications of hydrometallurgy such as solvent extraction for copper recovery, the carbon-in-pulp and carbon-in-leach process for gold processing, high-pressure oxidation of sulfides, heap leaching, agglomeration in heap leaching, and bacterial leaching and processing. Flotation processing has seen a steady introduction of new reagents, including collectors, depressants and frothers. Coal flotation has become a significant component of coal preparation plants. Mineral processing research involved the engineering science related either to operations and processes or to the fundamental science underlying those processes. The engineering science investigations were heavily concerned with modeling comminution and flotation. In the latter half of the 20th Century, population balance models were applied to the accurate modeling, scale up, and simulation of ball mills and other comminution operations. Studies of particle breakage led to better understanding of comminution principles and finally to the invention of the HPGR. Circuit analysis was carried out and applied to operating mills. The engineering science underlying agglomeration was developed and applied to improving balling systems. Because mineral separations are largely based on interfacial phenomena and surface behavior has significant effects when dealing with fine particles, surface chemical investigations continue to be the subject of much work. Flotation dominated the research on mineral separations, some of that to advances in flotation kinetics but most of it directed towards investigation of collector adsorption, including delineation of the surface chemistry, crystal chemistry, electrochemistry, and solution chemistry involved. Real progress has been made for two reasons: one is that there is better understanding of the chemistry and physics of surface chemical reactions and two, as laboratory equipment becomes more advanced, there are new tools with which to probe more deeply into delineating the phenomena. Similarly many advances have been made in hydrometallurgy, including leaching and solvent extraction. Modern froth flotation was born 110 years ago. Professor Gaudin and Doug were involved with flotation chemistry research for 90 of those years. Doug considers that the scientific basis of flotation has been put on firm ground. Being asked if there is much life left in flotation research or are we just going round in circles, Doug pointed out that nearly all of the published research has involved representative mineral systems, and because we have moved fast there still is much left behind. For example, an area essentially left behind that has become critical and currently is receiving a lot of attention is the flotation separation of the rare-earth minerals. Future research should be addressed to try to fully understand the flotation surface chemistry of other less common but important minerals where viable separations are needed. As new concepts and understanding come onto the scene, they should be applied to mineral systems left behind. Probably more attention should be directed towards the surface chemistry of depressants, Eh control, fine particle flotation, and also coarse particle flotation to reduce the amount of energy spent on grinding. Doug considers that research is necessary because research results beget new ideas and new directions. Furthermore, it is a training ground for advanced mineral processing scientists and engineers. Areas to be targeted in mineral processing include increasing the energy efficiency of unit operations and processes in treating ores, improving recovery in mineral processing operations, consider green chemistry in reagent production, continue research in hydrometallurgy, in-situ mining, resource conservation by addressing the cradle-to-grave cycle of a metal, total resource recovery, look out for opportunities of turning a rock into an ore as was the case for taconite. It would be remiss of me not to mention Doug’s younger brother Maurice, also a major force in mineral processing, and who I was fortunate to meet for the first time in Seattle in 2012, shortly before his untimely death at the age of 79 (posting of 9th October 2012). Doug and Maurie were very close and regularly consulted each other on professional matters. Maurice Clark Fuerstenau was born in 1933 in South Dakota. By 1955 he was a senior, majoring in geological engineering at the South Dakota School of Mines and Technology and had to do a short BS thesis. For this, Doug suggested that he measure the effect of alkylammonium chlorides on contact angles on sylvite (KCl), which eventually resulted in a joint paper on the flotation chemistry of alkali halides. 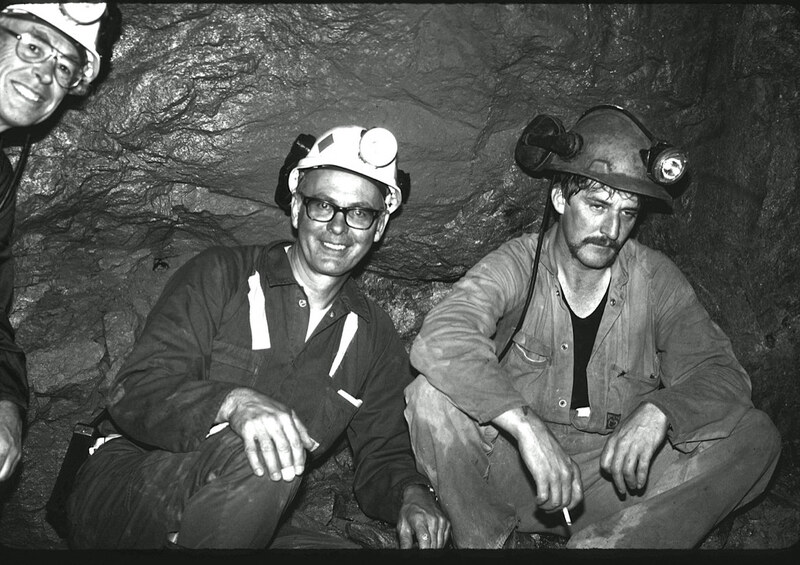 Maurie did not want to pursue a career in geological engineering, and Doug suggested that he apply for graduate study in the mineral engineering program at MIT. That led to Maurie’s MS and ScD thesis research on thickening, working directly under the supervision of Professor Gaudin. 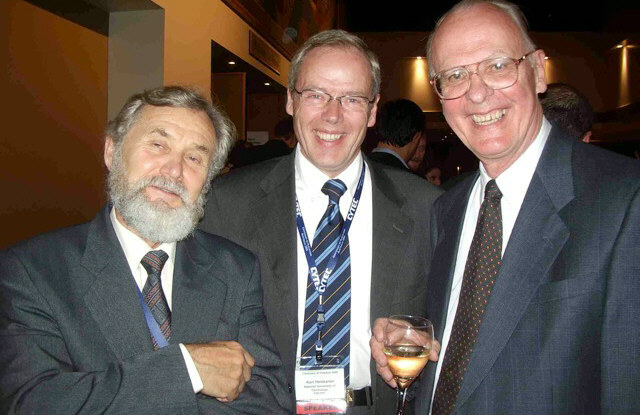 Maurie had a long and successful academic career in mineral processing and was highly recognized as a leader in flotation and hydrometallurgy. It has been a great pleasure and a privilege to interview Douglas Fuerstenau, perhaps the greatest living mineral processing legend. Although he is an outstanding scientist I found him to be a true gentleman, unassuming and very approachable. I look forward to our next meeting, probably at next year’s SME Meeting in Phoenix. Barry thank you very much for sharing this. Thanks for sharing this Barry. I have learned a little bit more about the people who has shared their knowledge with us. Professor Fuerstenau, we all owe you so much. Thanks for sharing your knowledge. Thanks for sharing some vintage photographs along with good information about the legendary Prof. Fuerstenau. I believe that you are making an excellent archive with your interviews of mineral processors. As your collection of interviews grows over the years, it will have historical merit. I think that you will have done a great historical service to the broad profession.